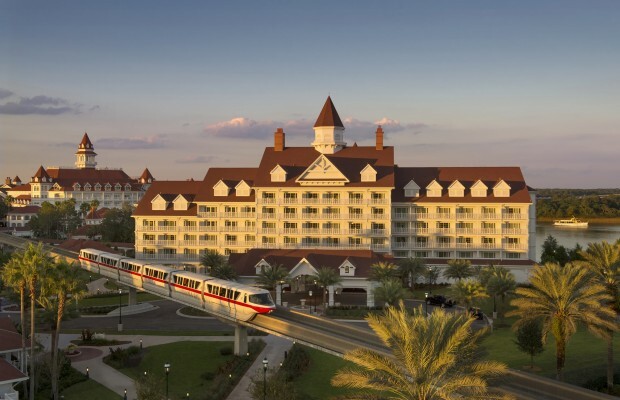 The new Villas at Disney’s Grand Floridian Resort & Spa had their grand opening on Oct. 23, 2013. This marks Disney’s 12th Vacation Club resort. The Villas, located near Disney’s Wedding Pavilion, feature its own lobby. Although designed for Disney Vacation Club (DVC) members, if available, non-members may also rent in The Villas. The villas evoke a casual elegance, continuing the design of the Grand Floridian while providing modern luxuries and Disney touches. A Mary Poppins-themed bronze fountain with playful penguins waits to greet guests as they step into the lobby. Adorning the lobby’s atrium are also two five-tier custom grand chandeliers with a light antiqued-brass finish and decorative green crystals. Inside one-bedroom and larger villas, an intricate level of finishes brings the 21st century to Victorian design, including custom Disney artwork adorning the walls of each bedroom; ornate bathrooms hosting mosaic marble tile and a mirror with a built-in television; and a walk-in master bath shower and a freestanding Victorian-style tub with air-bubble jets. The living area spares no details when it comes to comfort and flexibility, with a pull-down bed featuring artwork inspired by Walt Disney’s Dumbo and Mary Poppins. Those staying in The Villas share the dining and recreation offerings available at Disney’s Grand Floridian Resort & Spa, the flagship Walt Disney World resort experience. The new Villas feature a variety of accommodations that sleep anywhere from five to nine guests. The Villas is the first DVC property to feature deluxe studios that sleep up to five guests. Additionally, expansive grand villas sleep 12 guests and feature multiple bedrooms and bathrooms, as well as a media room with a home theater system.